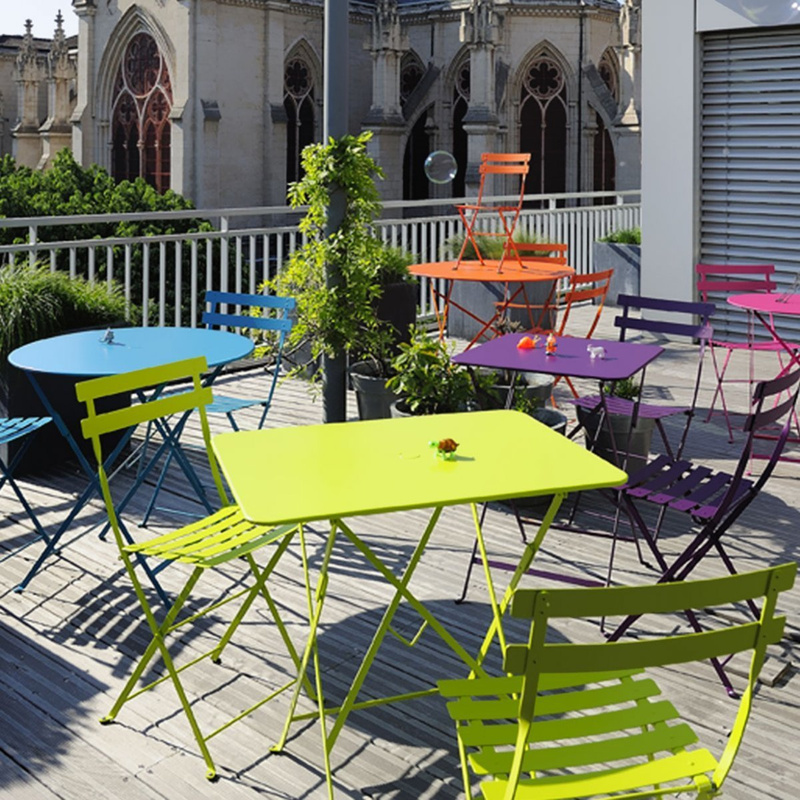 The Bistro square table by Fermob offers a functional and easy solution for your outdoor areas. 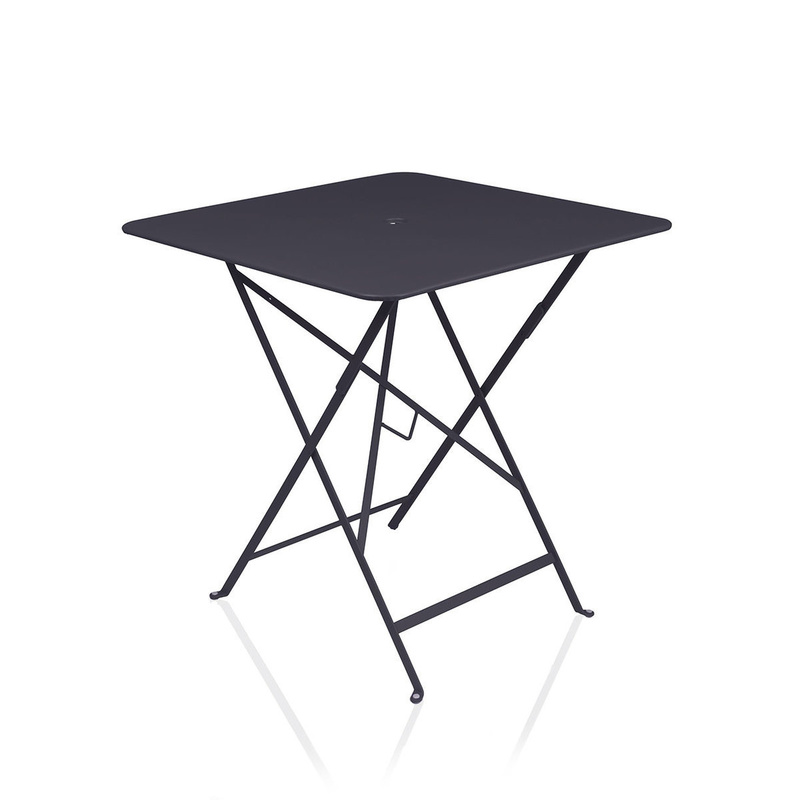 This folding table is also extremely easy to fold up and store away when not needed. The design of the Bistro collection is a timeless icon of European design history. 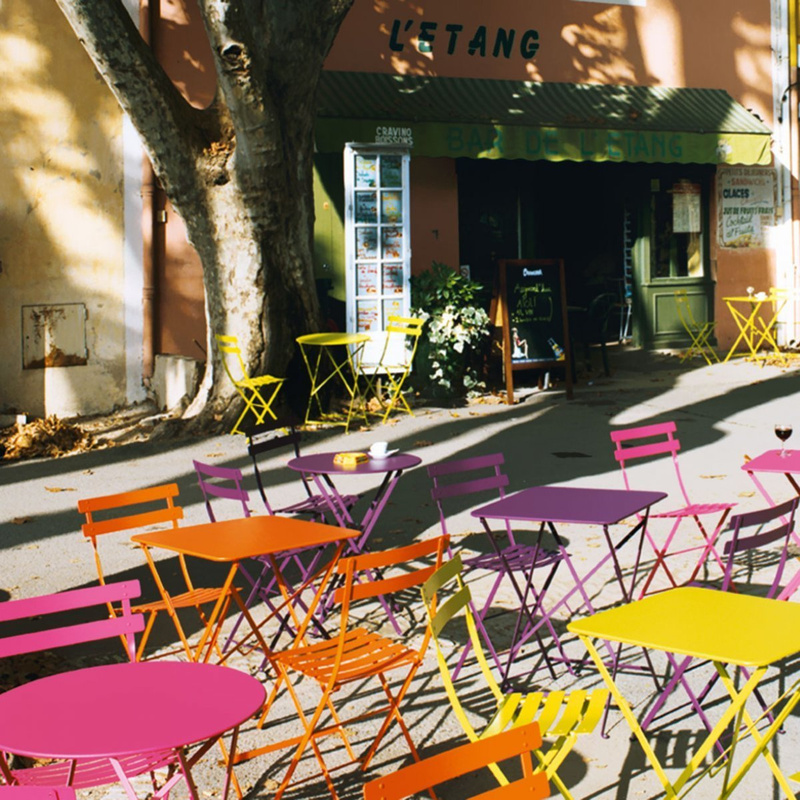 It dates back to the early Twentieth century, when this design was developed in order to help French lemonade sellers with their kiosks. The Bistro chairs and tables were lightweight and folding, thus being super easy to set down to create a comfortable and stylish seating area and to swiftly take away whenever the need arose. The Bistro square table is made from laquered steel and has a steel sheet table top. Its outstanding quality is enhanced by foot protectors and high protection treatment for outdoor use with anti-UV powder coating. 3 to 4 people can comfortably sit at this table, which is also equipped with a central hole to hold a sun umbrella. 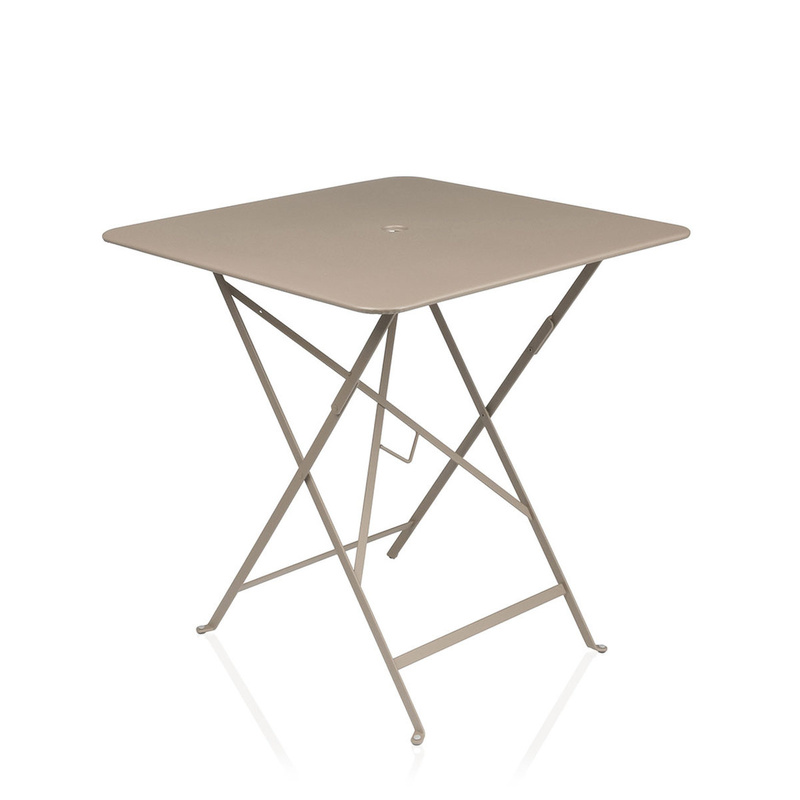 The size is 71x71 cm, but know that this beautiful designer table also comes in other measurements. 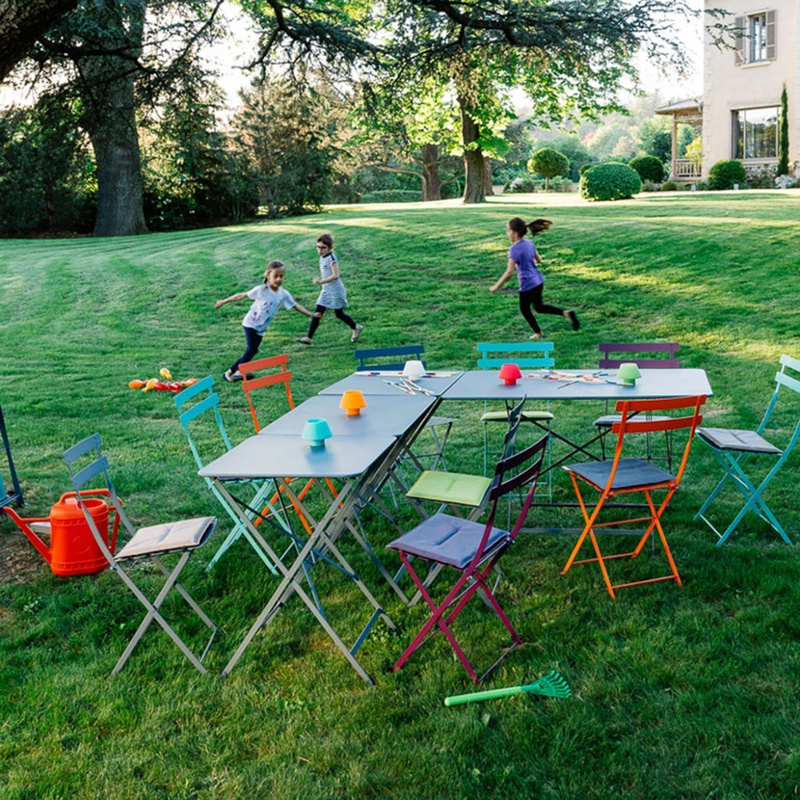 The Bistro square table is powder-coated with a special finish that protects its colour from fading even when left under the scorching sun for months on end. This table is available on sale online in a wide range of beautiful colours and in 2 finishes, that will bring out the natural beauty of your outdoor areas. Choose from matte cotton white, nutmeg, anthracite, linden and rosemary, or go for satin verbena or poppy red. The size of this table is appropriate also for smaller spaces, such as urban balconies or small patios. Stylish and comfortable, it will let you organise your romantic al fresco dinners or enjoy a special breakfast in the summer breeze in full style and comfort. 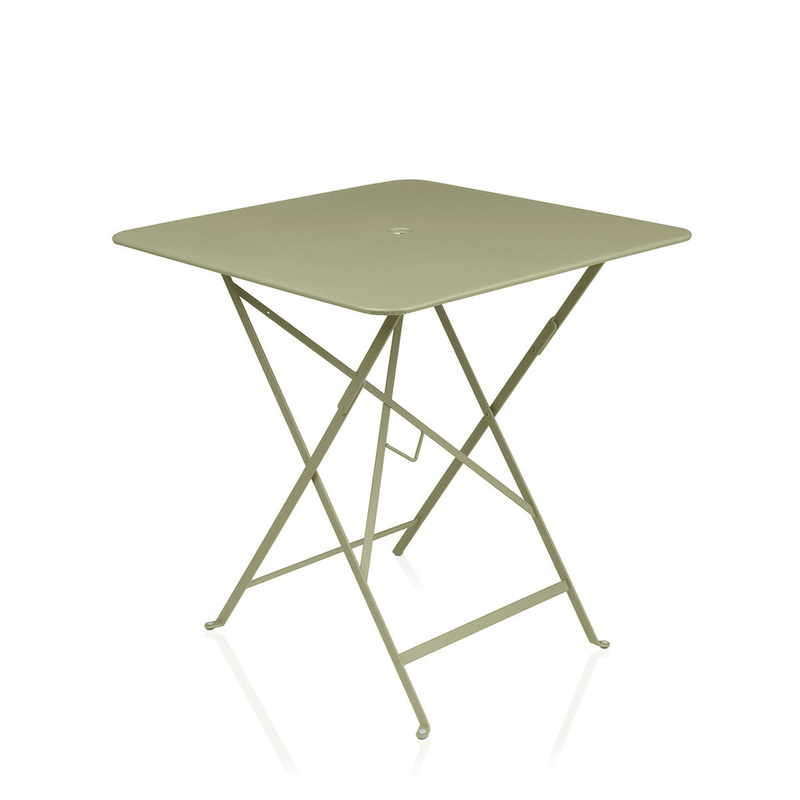 Use the Bistro square table in your garden area or on your terrace in order to make the most of fine weather, whatever you plan to do.